Looking for private in-home or in-studio Music Recording lessons? Our Evergreen teachers are ready to get you started. Find your teacher today! Check out some of our most popular teachers near Evergreen, CO including Denver, Aurora, Littleton, Englewood and Arvada. Some people have a desire to get into the music industry as recording engineer, but have no idea how to get started. Others are musicians that simply want to capture a performance of their music so others can listen to it in their cars or on when they exercise. Music recording is super cool! You learn how to take a picture of music that can be enjoyed by everyone. When you take lessons in music recording, we cover everything: computer hardware requirements, the pros and cons of different software, microphones, interfaces, mic placement, and tons of other stuff. Music recording can be as simple or as complex as you want it to be, but with whatever level you want it to be, I'm going to make sure you have fun doing it! I believe everyone has the ability to sing … some better than others, of course, -- but regardless, I believe every voice can make a beautiful sound. I believe learning to sing requires team work: with the proper instruction and learning tools from me, the instructor, and with the dedication (practice, practice, practice) from you, the student, a well-rounded singer can emerge. If you can hear the proper note, I can help your vocal instrument play to its fullest abilities. re completed at the American University, where I majored in Communications (B.A. ), and minored in Music, voice being my instrument. During my undergraduate studies, I was recruited and performed as the lead female vocalist for a Rock band that a few fellow music students had formed. While in college, I was trained in classical voice, piano, music theory, musical theater performance, and vocal pedagogy (vocal training). My vocal pedagogy studies credentialed me to become a professional vocal instructor. I began teaching voice after I earned my degree, and have been teaching private voice lessons for over ten years. Most of my present expertise in teaching voice grew from my vocal pedagogy studies, my teaching experience which has developed over time, my own personal vocal dedication, and my training and understanding of various genres of vocal performance. My present singing career is as an inspirational singer; my vocal students encompass various genres in which I have experience, including: Inspirational, Rhythm and Blues, Jazz, Rock, Classical, as well as various degrees of popular music. I have coached many of my students to prepare for auditions: auditions to be accepted into performing arts schools, parts in musicals and plays, joining a band or vocal ensemble, as well as auditions for televised singing shows, such as "The Voice," "Sunday's Best," "American Idol" and "The X Factor." I teach students by using the tried and true techniques I have found to be successful, and allow the student to be my guide as to which direction to take with his or her vocal training. Whether the student is a novice, a professional, or somewhere in between, each student, after obtaining the basic singing knowledge and techniques, will have a vocal training schedule geared to his or her individual needs and development. Lessons are for the most part very casual in nature, and the student’s dedication (practice, practice, practice) will dictate whether or not the lessons become stricter. A few months into the vocal instruction, students will be given the opportunity to learn more about reading music and sight singing, if he or she so chooses, as well as vocal performance techniques for singing in front of an audience. Within one year, dedicated students may also have the opportunity to show off what they have learned, and perform in front of an audience at a recital with other vocal students. Please note that my preference is to work with teens age 13 through adults of any age. I believe that younger voices need more time to develop and stand to be damaged if too much stress is put on them too soon. However, exceptions for children under 13 may be made for gifted young singers. If needed, I provide a portable piano keyboard, microphone with amplifier, paper handouts of lessons, etc. The student needs to have paper to take notes and a writing instrument. Most of my voice lesson experience has been with adults, and contemporary popular and inspirational music. Ms. Valyncia was an amazing coach. She was very patient , very honest and very professional. She pushed me beyond my comfort zone and I was able to improve my breathing, improve my range and put some personality into my performance. That was a long time ago but I plan on booking her again as my coach. I highly recommend her ! You will definitely become a better singer / performer when working with her , as long as you put the work in. Get instructor. Listens and teaches great fundamentals. Learned a lot of the basics and helped me develop in several areas. Her in home music studio was well equipped and a great learning place. She’s very knowledgeable and patient with help you achieve your goals. 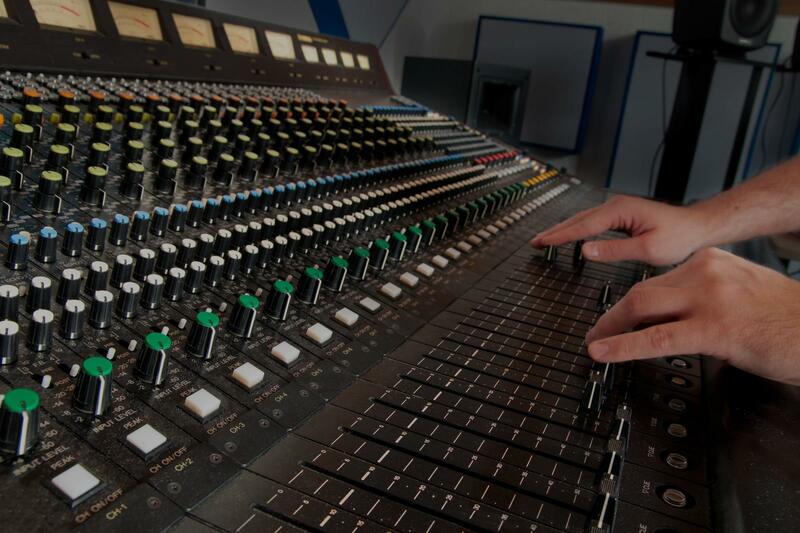 Train with a top professional with experience in recording across the globe. The art of mic placement and room sound is essential in getting a solid recording. That combined with a solid understanding of how certain frequencies are expressed by different instruments and how to capture the space of the music will expand your abilities in recording. As a producer and professional audio engineer with over 10 years experience I have worked with a wide range of artist and record labels as a songwriter, produce, and mix engineer for their projects. These experiences have helped me to teach others these techniques to use on their own recordings. Student will learn how to go from a blank session to a completed ready to release song. Can't find a teacher in Evergreen, CO?